Place oven rack in center of oven; heat oven to 350°F. 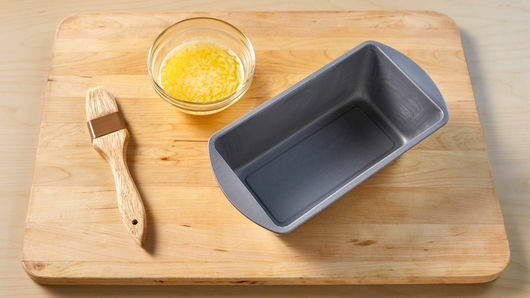 Brush loaf pan with small amount from the 1/2 cup melted unsalted butter. 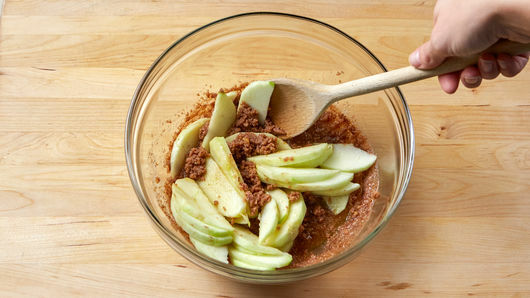 In large bowl, stir together remaining melted butter, 1/2 cup packed brown sugar, 1 tablespoon ground cinnamon and juice from 1 large orange until combined. 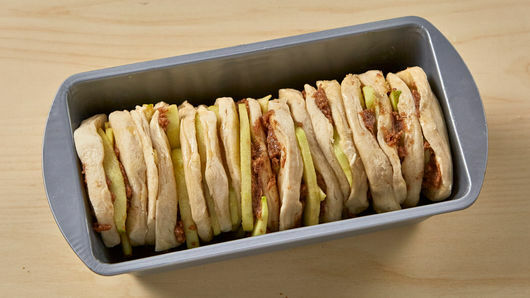 Add 1 large green apple, peeled, cut into 1/4-inch-thick slices; toss to combine. Separate dough from 1 can (16.3 oz) Pillsbury™ Grands!™ Flaky Layers refrigerated original or buttermilk biscuits into 8 biscuits. Split biscuits in half to make 16 biscuit rounds; place on work surface or cutting board. 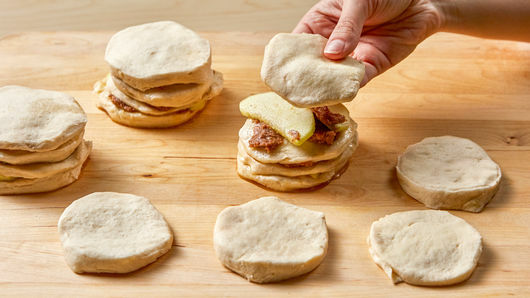 Place a few slices of apples with sugar mixture on each biscuit round. Stack 4 topped biscuits on top of each other to make a tower. Repeat to make a total of 4 towers. Place each tower on its side lengthwise in buttered pan, pressing each biscuit tower to fit tightly in pan. Bake 40 minutes or until top is golden brown. Remove pan from oven to cooling rack; cool 15 minutes. Place serving plate upside down over pan; turn plate and pan over. Remove pan; serve warm. 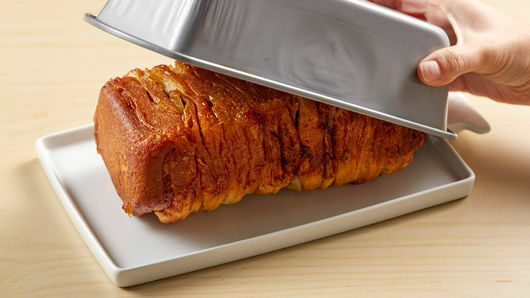 Refrigerate any remaining bread in airtight container up to 3 days. This is a fun project for kids, too. Have them help in the kitchen by making the apple mixture and separating the biscuits! Make this an even more special treat by serving with a scoop of your favorite ice cream or whipped cream.